A gear stick, also known as a gearstick is a metal rod attached to the shift assembly in a manual transmission-equipped automobile and is used to change gear. In an automatic transmission-equipped vehicle, the same device is usually known as a gear selector. A gear stick will normally be used to change gear whilst depressing the clutch pedal with the left foot to disengage the engine from the drivetrain and wheels. Automatic transmission vehicles, semi-automatic transmissions, and those with continuously variable transmission gearboxes do not require a clutch pedal. 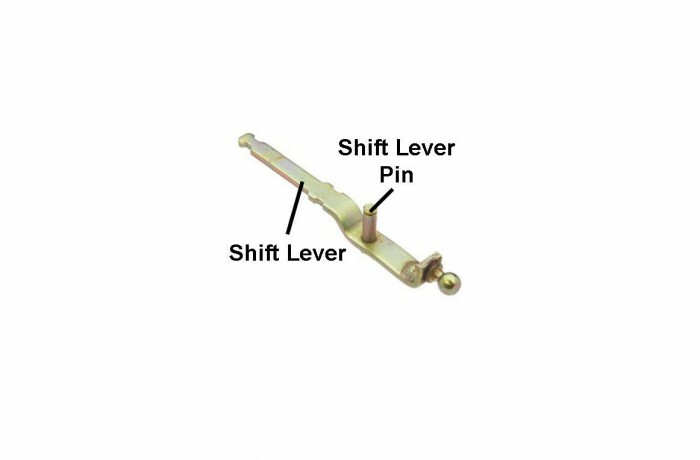 A control lever which the driver uses to manage the current gear (or gear range) of a vehicle's transmission “H pattern” an arrangement of gears, usually designated on the shift lever knob, where in the gears are arranged in a series of parallel rows, reminiscent of an "H" with extra legs. Gear sticks are most commonly found between the front seats of the vehicle, either on the center console (sometimes even quite far up on the dashboard), the transmission tunnel, or directly on the floor. Some vehicles have a column shift where the lever is mounted on the steering column—this arrangement was once almost standard practice in American vehicles until relatively recently, which had the added benefit of allowing for a full width bench-type front seat (though some models with bucket seating as an option include it). It has since fallen out of favor, although it can still be found widely on North American-market pick-up trucks, vans, emergency vehicles (both law enforcement and EMS - the column shifter is retained where a floor shifter is unfeasible due to mounting the mobile data terminal and 2-way radio), and "full-size" US sedans such as the Ford Crown Victoria.